Need to give a little award for a job well done? How about a small good luck gift? 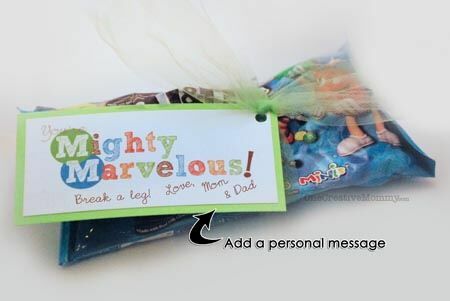 Attach a “You’re Mighty Marvelous” gift tag to a bag of M&Ms, add a personal message, and you’re ready to go! 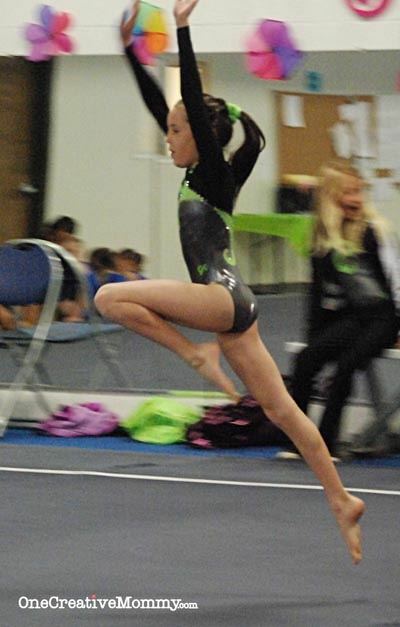 It’s gymnastics season in our household. The girls on Bear’s team take turns bringing “Walk Out” gifts to the meets. Since most kids love M&Ms, these M&M gift tags make a perfect treat for after the meet. I’ve adapted the tags to something that you can use for any occasion. 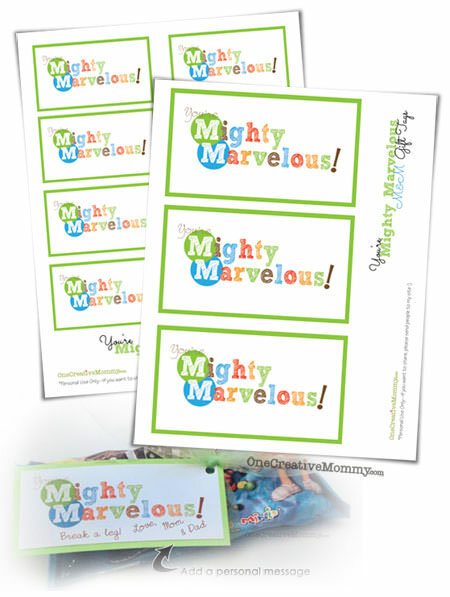 Add your own message to tell your kids why they are mighty marvelous! Try it for opening night of the school play, the first or last game of the season, the first day of school, or anytime someone needs a little pick-me-up! 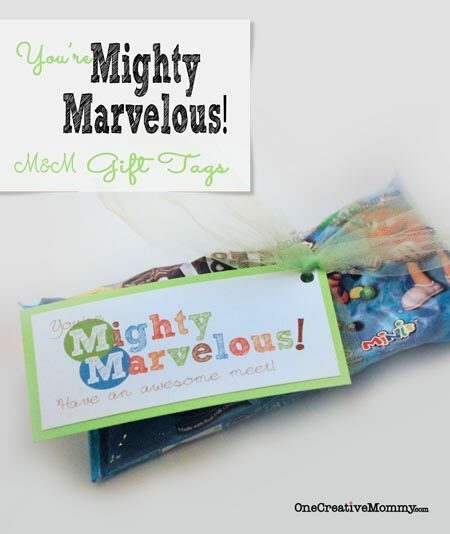 Since I’ve included large and small tags in your download, you can use these M&M gift tags with any size bag of M&Ms. Enjoy! 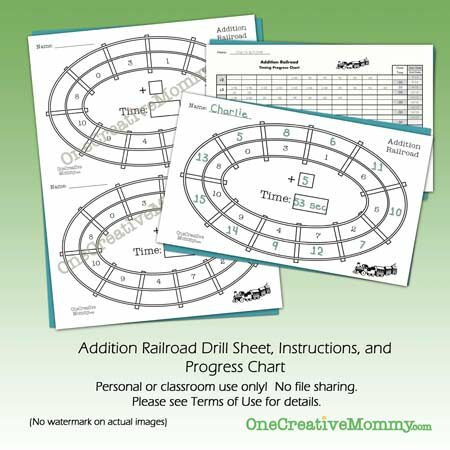 Click here to download only the PDF files. This is not a zip file. Click here to see the other fantastic sites I like to link up with each week. These are so cute Heidi! Pinning! Thanks for stopping by and wishing me a Happy Anniversary, too! Have a great day! What a cute idea! I bet the girls really liked them. Thanks so much for linking up at the Real Family Fun link party! Hope to see you next week. Hey there! 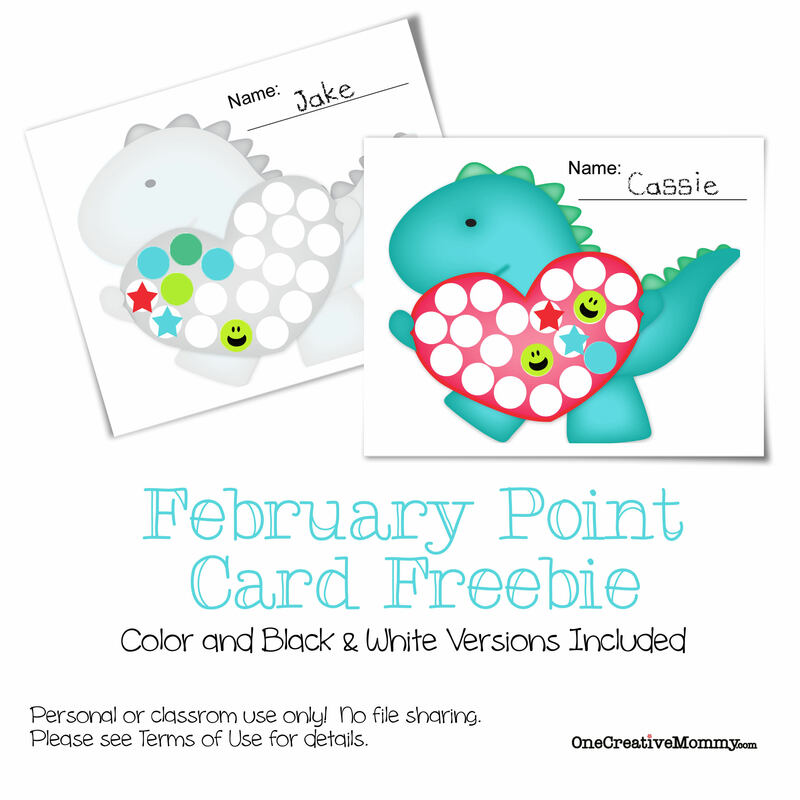 Thanks for linking up such an awesome project! Stop by again next week and link up another awesome project for us to see!